Blockchain firm Symbiont has announced the closing of a $20 million Series B funding round led by Nasdaq Ventures. The round also saw participation from additional new investors, including Galaxy Digital, Citi, Raptor Group, and others. Based in New York City, Symbiont is developing products in smart contracts and distributed ledgers for use in capital markets. The company has been working with financial institutions and governments to develop new business lines, increase transparency, reduce risk, and save costs. Three of the founders of Symbiont are also founders of Counterparty, a financial platform for creating peer-to-peer financial applications on the bitcoin blockchain. The company will use the latest funding to continue its growth as the “market-leading blockchain platform for the global financial markets,” and to accelerate deployments across multiple business verticals, including data management, mortgages, private equity, and syndicated loans. 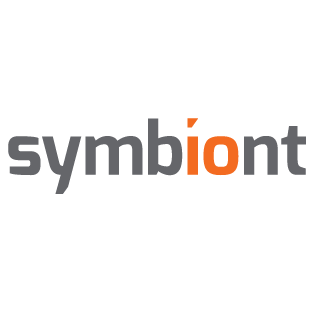 “Closing this round of funding enables us to accelerate investments in our platform and team,” said Symbiont CEO and Co-founder Mark Smith. As part of its invesment, Nasdaq will be able to utilize Symbiont’s enterprise blockchain and smart contract platform, Assembly, with existing and new clients that are seeking smart contract and tokenization solutions. Assembly enables financial institutions to maintain the peer-to-peer nature of their transactions with no central authority, while also receiving the benefits of a shared database with end-to-end privacy. Smith said that Nasdaq will benefit from developing new distributed applications on Assembly as it provides the opportunity for new participants to enter the crypto market and offers existing participants a superior infrastructure on which to build the future of financial markets. At present, Assembly is being used by Symbiont’s partners and clients to build the next wave of financial infrastructure without having to surrender control of their data or their direct relationships with their clients. Symbiont said they will continue to work with their clients to build a more efficient, transparent and safe infrastructure for the financial services industry and the end user.